Wow, best start to a linup I've ever seen, thanks for this one especially!! Hope to see this act head line Friday Night. Chronixx's live performance is one of the best shows in Reggae music right now. He is playing at Fillmore in SF in March. Huge draw. I expect the same stage and time as kabaka, protoje and romain Virgo. Saturday afternoon at 1;00 pm but I will be happy with Friday night . I've seen chronixx live before and I agree with the above that he puts on a great show. no way he plays in the middle of the day.. I love and respect all the artist you mentioned but he will cost too much loot to put him on in the middle of the day. Taurus headlines Friday. Capleton headlines Saturday. Gentleman headlines Sunday. 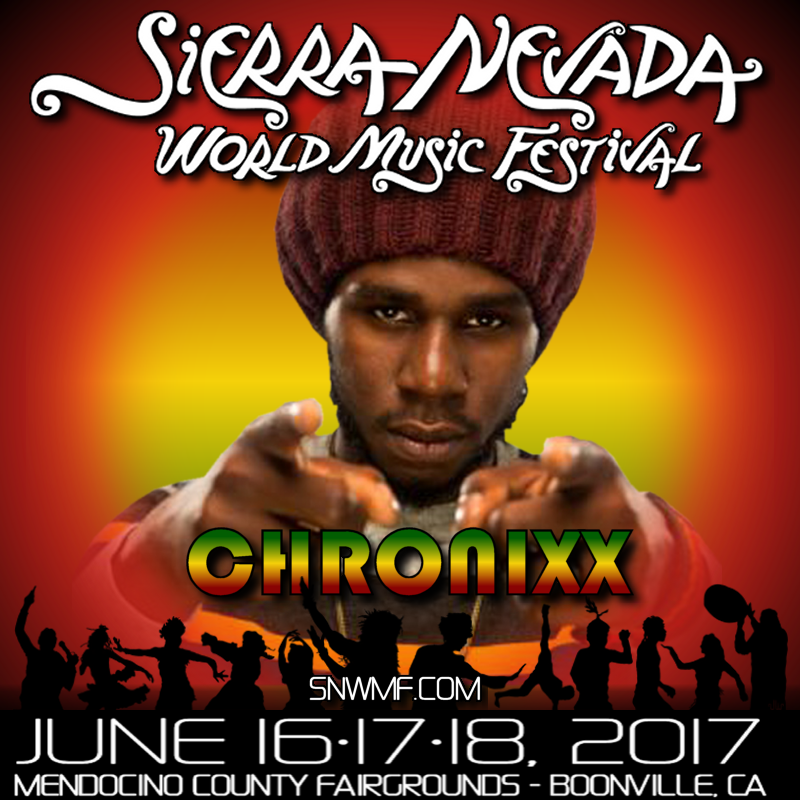 Chronnixx will play before Capleton on Saturday, or possibly Anthony B, although he seems to be a good Sunday performer. Ranking Joe will play at Village stage Friday (hopefully headlining!) for the traditional rootsy, irie vibes there every year. Anyone know when chronixx new album drops? All I've seen is new album releases "early 2017." Hoping its before his March tour. I'm gonna get a preview on March 25th in Portland. It will be my first time seeing chronixx. I hear good things & im excited! As for the comment above, Anthony B should not be a headliner, & neither should Chronix. Both 2nd tier guys to me. I really hope Gentleman closes the show Friday or Saturday night. If I have to wait till Sunday, I'm sure I will be burned out. Either way it goes down, I know it will be awesome, & I'm sure a bunch of other really good acts will get added before the final line up is announced. Edited 1 time(s). Last edit at 02/10/2017 09:20PM by Ninja. Daniel did you just try to steal my thunder? weeknd meets some euro techno producer..
upon first listen i dont really care for it.. i prefer one-drop riddims with heavy basslines and upfront kick drums.. I hear you.. if there was a video I would have posted it instead but the tune just dropped so there is no video as of yet..
what I do always find amusing is that it is always people who get 5000 likes for taking a crap that complain about getting likes. IF he rolled back the clock a few years to when he was a young lad he wouldn't be so opposed to the likes... good tune though. What's up everyone! Lineup looking good so far this year. One of the best EP's Ive ever heard. Cant wait for the album. I find it interesting that he is listed second on the final poster. I wonder if this means he'll be headlining. That would be a big deal fosho. no reason he shouldn't. It isn't a lifetime achievement award and it would be hard to argue that too many others would be more anticipated than Chronixx. I would be suprised if chronixx is top billing on Saturday above gentleman and Capleton. I expect him to be in the same spot as Jesse royal, protons and romaine Virgo from years past. However I would prefer to see him at night and just appreciate that all three will be there. The only thing that matters is how many people came to see you. Not if you are as good live etc. 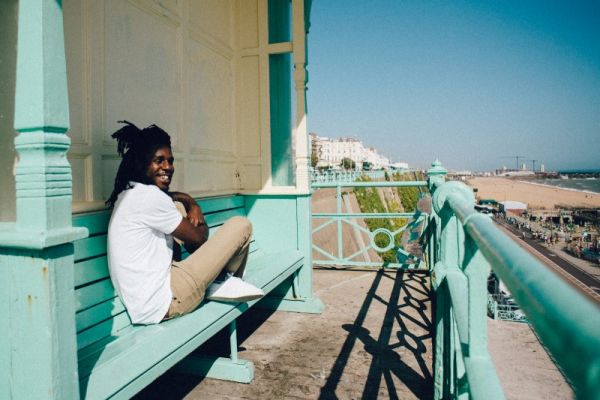 More people will come to see Chronixx than pretty much anyone on the bill. It has nothing to do with how good you are or all of that. If Michael Franti was here, he would headline, Rebelution etc. It has to do with what kind of draw you are and how much loot they have to pay to get you there. I think his live show is awesome! Seen him 3 times now and loved them all! Saw him in ABQ a little while ago for the first time and I loved it. Can wait to see him under the summer night sky. I just saw Chronixx for the 6th time and he was great. His vocal delivery is on point but he still needs to connect a bit better with the crowd i think. Can't wait for #7 and #8 this summer!! The live version of Skankin' Sweet is much better than the studio version IMO.